It’s not just tigers and giant catfish. The Greater Mekong also hosts a self-cloning skink and a fish with vampire fangs, among many other recently discovered species. 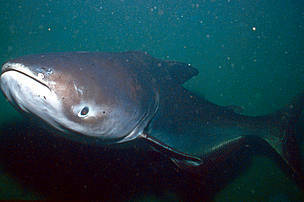 What these extraordinary creatures have in common is an uncertain future in the face of the region’s rapid development. 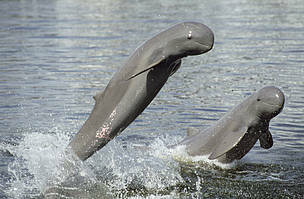 Irrawaddy dolphins leaping in Thai section of the Mekong. Since 1997, more than 2,216 new species were discovered in the Greater Mekong subregion, with 139 new species identified in 2014 alone, including a color-changing frog, a zombie-making "dementor" wasp, and the second-longest insect in the world. 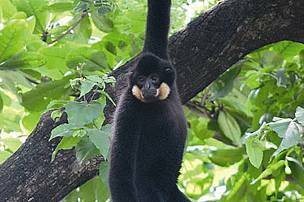 The region is home to numerous endangered species, including the Indochinese tiger, the Asian elephant, the Irrawaddy dolphin, and the Mekong giant catfish. 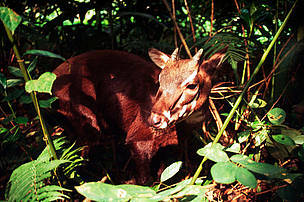 In particular, the Greater Mekong region is rich in endemic species, including the saola, one of the world’s rarest mammals. Most of this globally-important biodiversity extends across national borders, making regional cooperation vital for its long-term conservation. 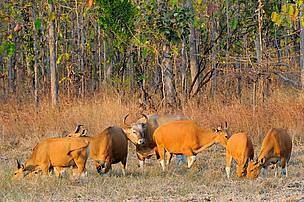 The number of species and their population sizes are declining in the Greater Mekong region. For example, in 2011, WWF and the International Rhino Foundation confirmed the extinction of the Javan rhinoceros (Rhinoceros sondaicus annamiticus) on mainland Asia, after the last remaining individual was shot in 2010 and its horn removed. This extinction is a sad example of the broader extinction crisis facing the region. Perhaps one of the most widely recognized species illustrating the gravity of the situation is the tiger. Over the last century, 95% of the world’s tiger population has vanished due to shrinking habitats, expanding human populations, increasing demand for traditional medicines and wild meat, and a decrease in prey species. 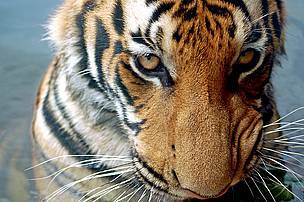 In the Greater Mekong region, only 350 Indochinese tigers remain, down from 1200 in 1998, and many remnant populations are small and isolated. For many Mekong fish species, essential migration routes are being disrupted by hydropower development. More than 35% of the Lower Mekong Basin fish harvest is made up of long-distance migratory species, and the combined effects of dams already built on tributaries and the loss of floodplains to agriculture is expected to reduce fish catch by 150,000 to 480,000 tonnes between 2000 and 2015. These problems may worsen, as 12 hydropower schemes have been proposed for the lower Mekong River. 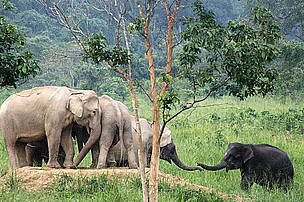 Wild Asian elephants in Kuiburi National Park, Thailand. 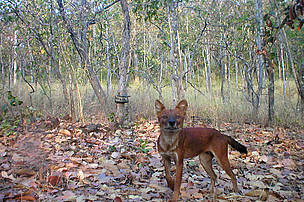 A male dhole. The dhole is a competitor to the leopard. 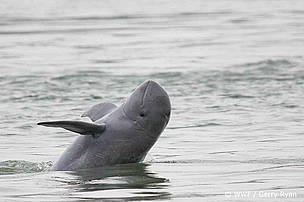 New species are still being discovered in the Greater Mekong.